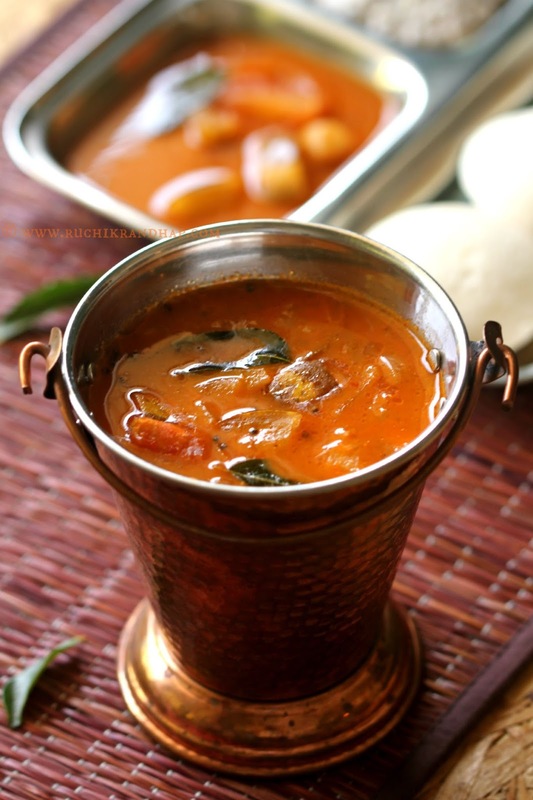 Sambar ~ Mangalore Hotel Style ~ When The Hubby Cooks! On every trip to Mangalore we love to eat at the local restaurants. 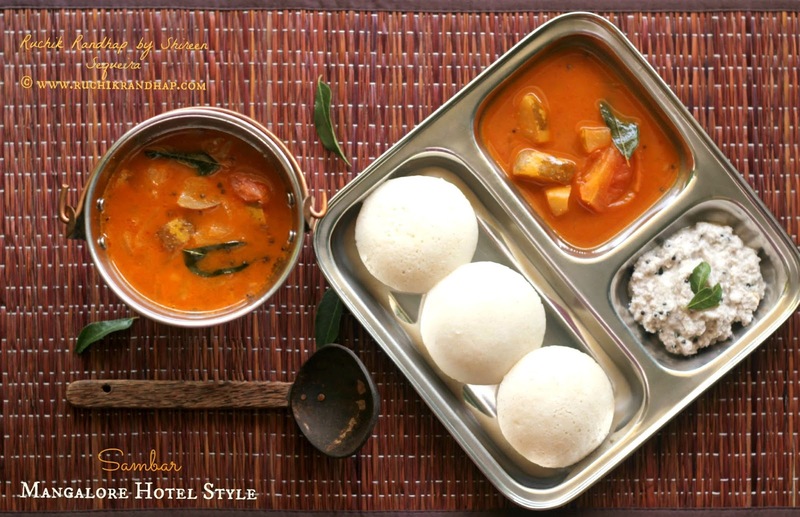 Some of the absolute must have’s on our list are the Mangalore Buns and Goli Baje and sometimes we end up ordering multiple things which we totally love to eat as the entire experience can only be enjoyed at the hotel. 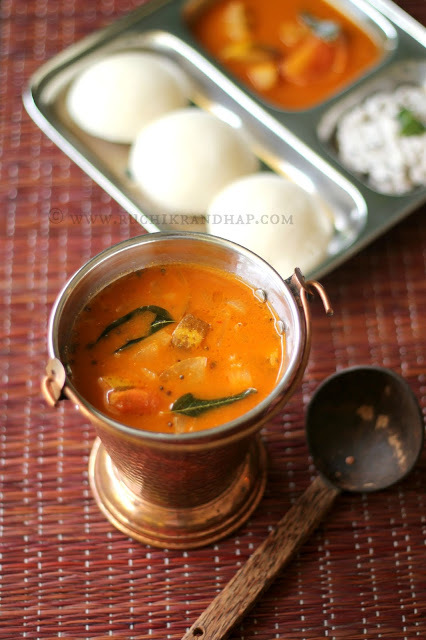 One such item is the sambar which comes along with most snacks you order, especially the Mangalore buns. A few months ago, on a whim the husband decided to recreate this dish. After a couple of attempts I can say that he has figured it out and the taste and aroma is bang on! Since then I have made this sambar a zillion times. 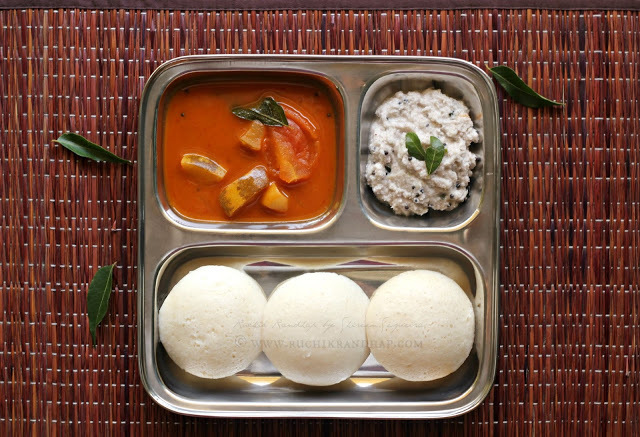 The beauty of this dish lies in its simplicity, especially because it is a lot simpler in terms of process than its other sambar counterparts and the best part is that you can make the sambar pudi (powder) in advance and use it as required. 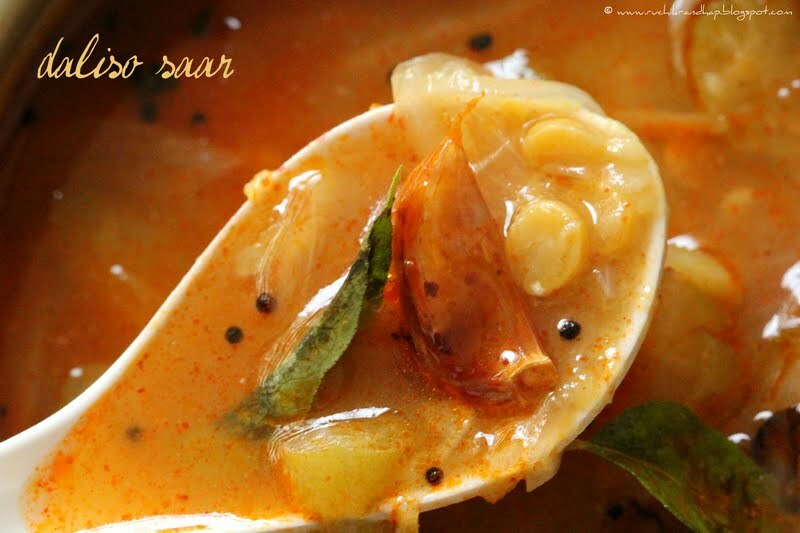 This sambar also uses just two types of vegetables – the field marrow (mogem/sauthe kai/malabar cucumber) and/or the brinjal. 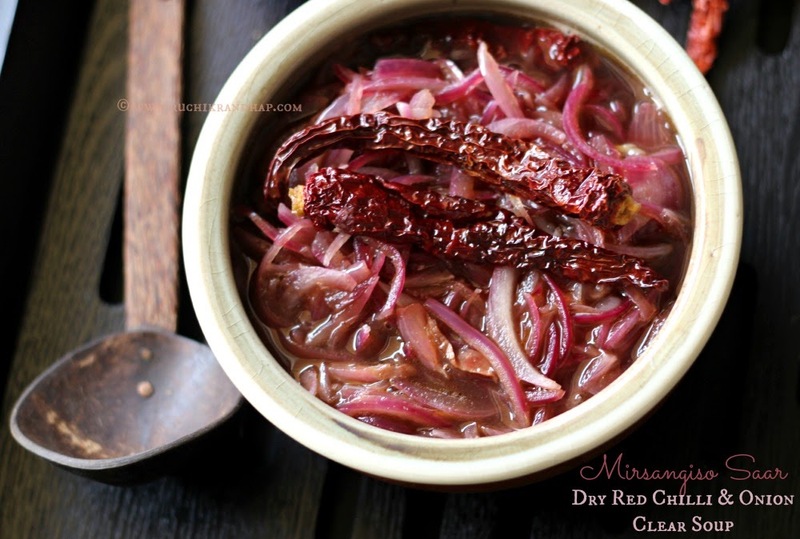 Brinjals definitely bring in that special flavour that is so inherent to sambars but the day I made this I didn’t have any but you can choose to add them if you wish. 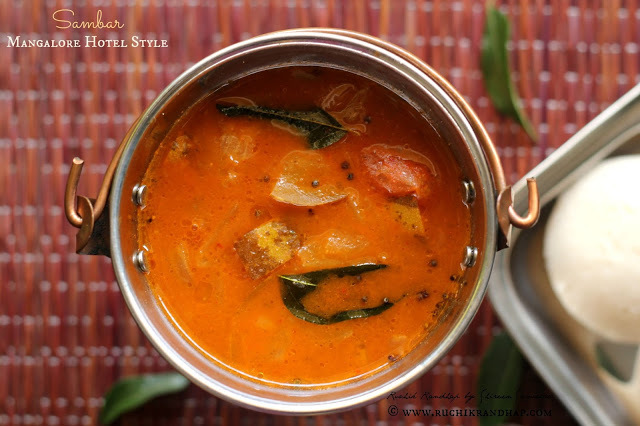 Since I love to cook easy during the week (on school days) this sambar is on my menu on most days as I can serve it along with rice for lunch and use the leftover as a side dish to idlies, dosa or Mangalore buns that I make for breakfast. This is mainly because it is hard to scale down the spices to a really small quantity due to the limitations of my mixer grinder and so I prefer making the full quantity and using it up in one way or the other. To make things easier for you, do consider making the spice blend in advance and store it in the fridge. What gives the blend its texture and flavour is not only the chillies that we use (the Byadge variety) but also the dals that add to the aroma as well. I do hope you give this recipe a try and enjoy it too. 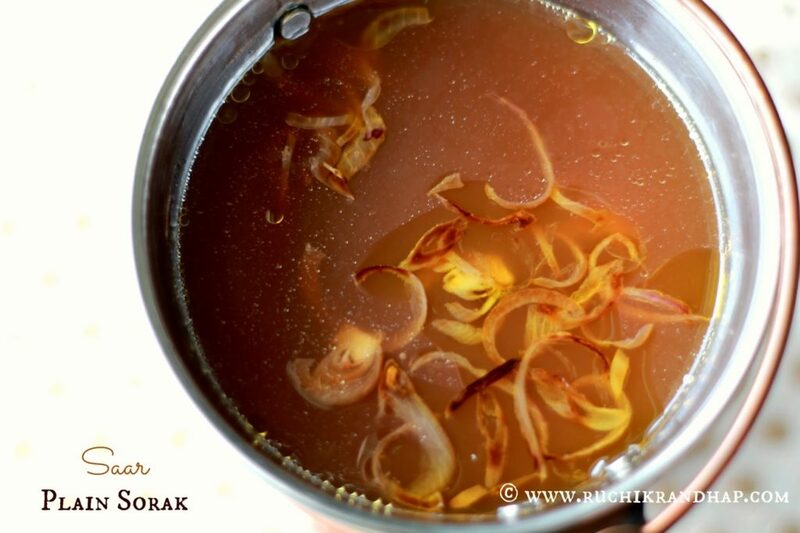 For more saars and dals (gravy based accompaniments) do check the list at the bottom of this post! 2. Add all the ingredients in a pressure cooker and take 2-3 whistles. 3. 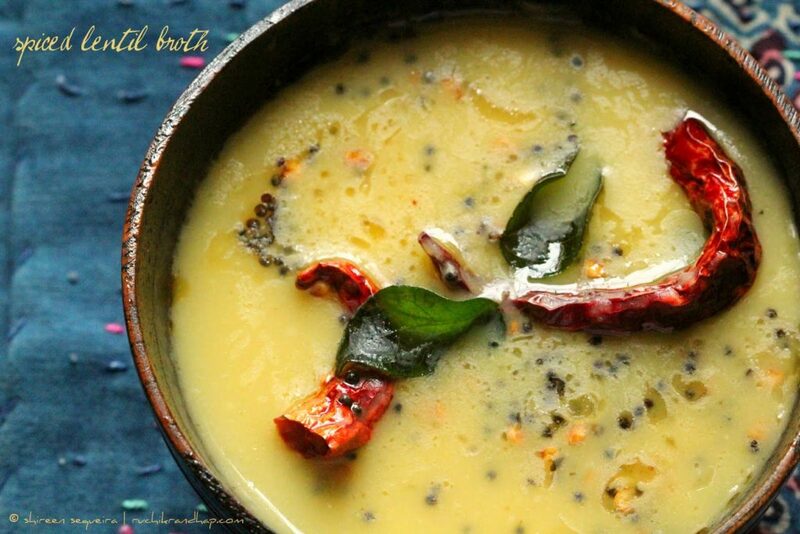 Heat oil for tempering and toss in the mustard seeds, when they stop spluttering add the curry leaves and the pinch of asafoetida. 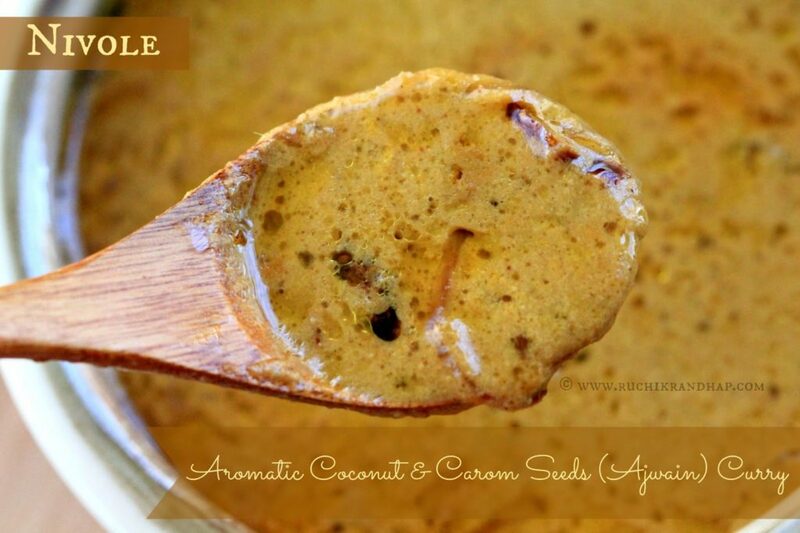 Give it a quick stir and pour this into the prepared sambar. Close the pan immediately to trap the aroma of the seasoning. 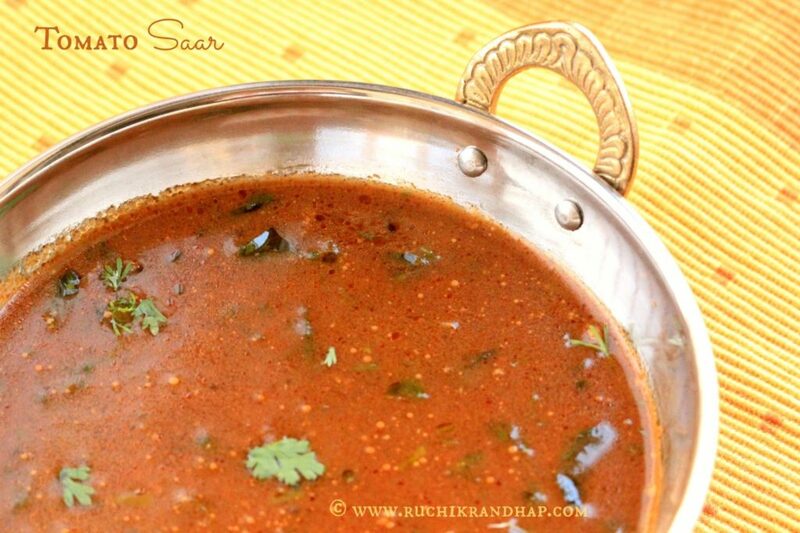 Hi shireen, is there any dals to be used in this sambar other than the ones in the sambar pudi. Thanks. 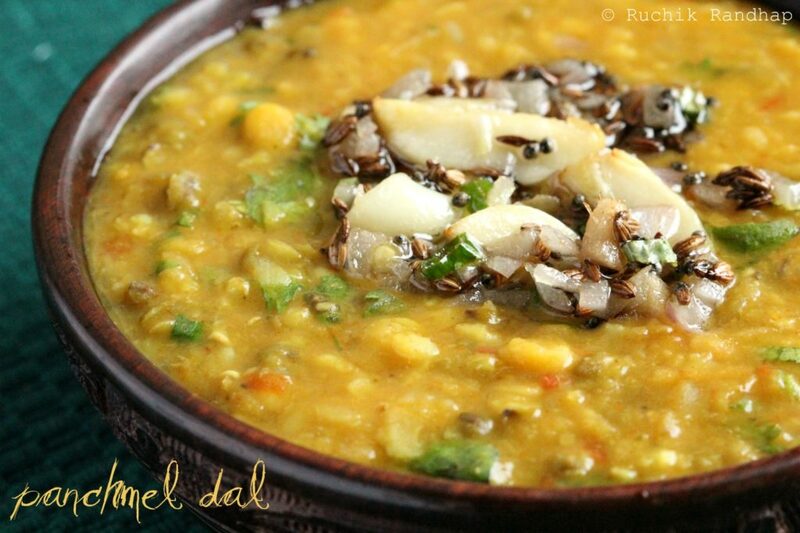 @ Shefali: No other dals are required in this sambar apart from those in the pudi!